GSODA Junior Players will this year be staging “Hercules the Panto” as an arena spectacular. 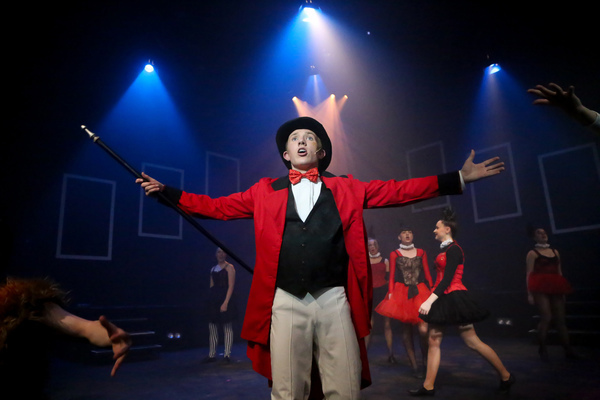 The GSODA Junior Players are Geelong’s leading youth theatre company, which performs two shows every year for the wider Geelong community and local schools. Founded in 1965, the company recently celebrated its 50-year anniversary. Many of the company’s past members have gone on to professional roles in theatre, TV and film. Among them are Peter Coleman Wright OA, Martin Croft, Sophia Katos, Amanda Le Bonte, Tim McCallum, Jack O’Riley and Guy Pearce. Many others have made a name for themselves as producers, directors, technicians and writers. Most continue to perform in local theatre and benefit from the confidence and teamwork that creates a theatre ensemble. Last year the company staged the sell-out performance of “Shrek” and this year will be staging “Hercules the Panto” as an arena spectacular. The company is made up of over 60 members, who, once successful in joining the company, can stay until they turn 17, gaining valued experiences and friendships. Those who would like to be part of this theatre group must audition to be part of the GSODA workshop. These are held each Saturday in term two, three and four, culminating with a production in November. Boys and girls aged 10 to 14 years are eligible, and auditions will be held in March. Find an enrolment form on the GSODA Facebook page or contact the secretary at gsodaworkshop@gmail.com.